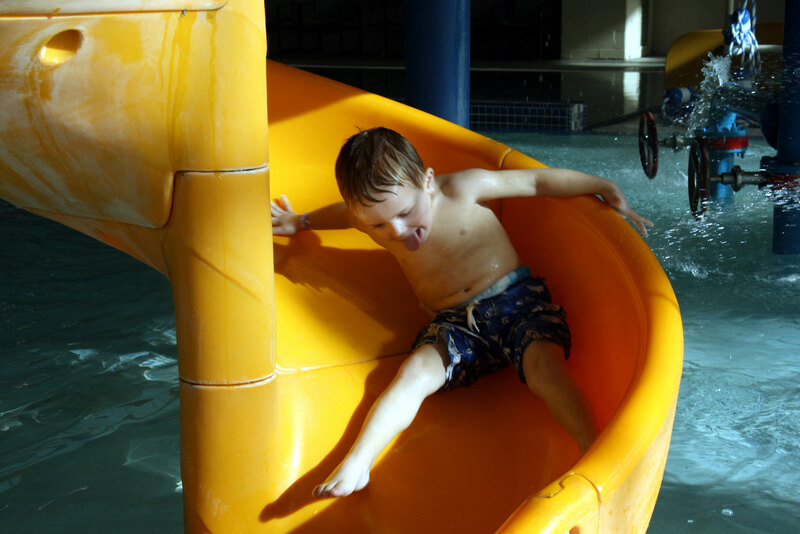 Yesterday Davey and I went to an indoor pool to splash and play. 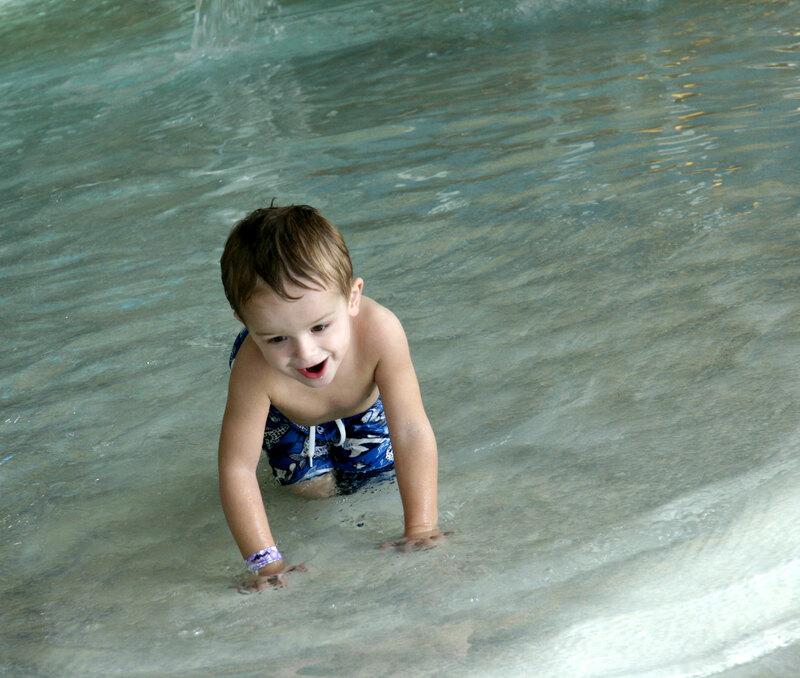 It had all kinds of fun squirters, splashers and a great slide for him. I always like to watch him go through his process of familiarizing himself to anything new. He walks around slowly. He looks around. He checks it all out. He doesn’t engage too fully. He just feels it all out. Slowly he gains momentum as he gets more comfortable in his surroundings. Once he gets going – he really gets going. All out.